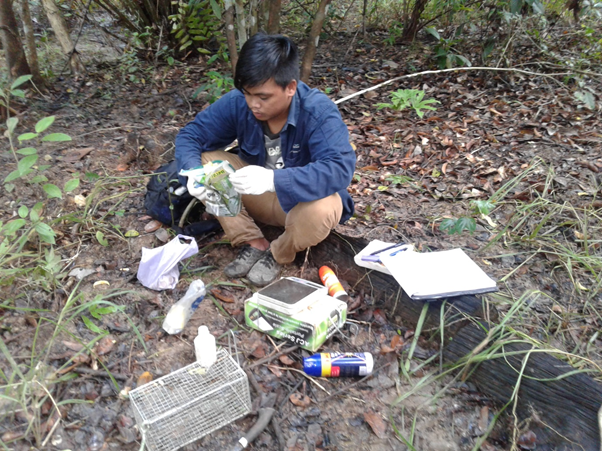 Berjaya Elahan, Keeper of the Wild with WLT partner Hutan, describes the past year of conducting wildlife surveys in the Lower Kinabatangan Wildlife Sanctuary, and explains why they are so important. 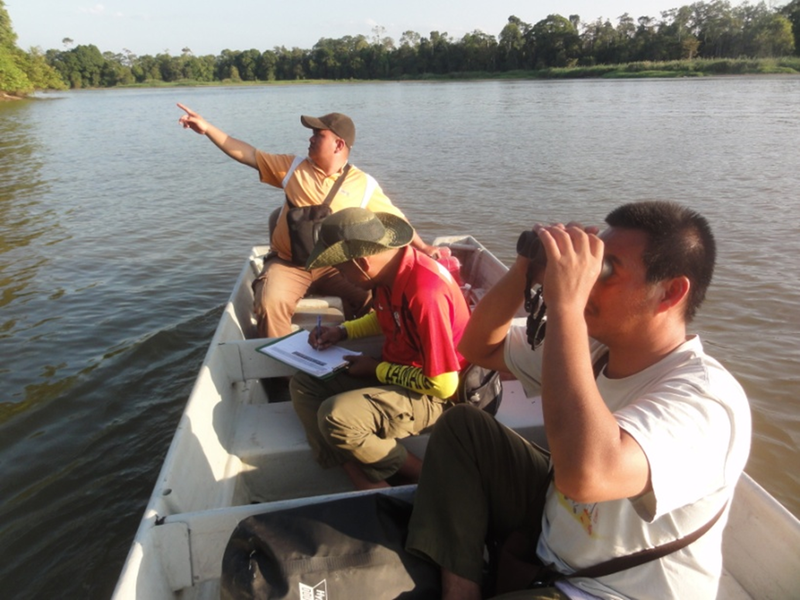 In 2016, my unit focused on conducting wildlife surveys throughout the Kinabatangan region to assess the population trends for key species of mammals, birds, reptiles and amphibians. 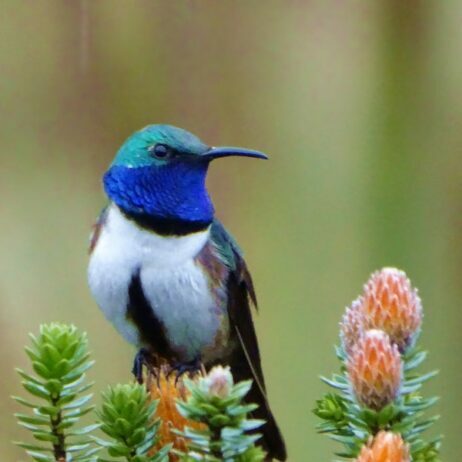 We conduct these surveys every 5 years or so, to find out if wildlife populations are maintaining healthy numbers, and if some species are rapidly declining. Throughout 2016, we conducted monthly expeditions to the different areas of the Kinabatangan, camping in the forest or staying in nearby villages. The most common wildlife survey methods we use are recce walks, ground transects, humane grid traps, river monitoring (for primates and birds), and night surveys (for frogs and other nocturnal animals). 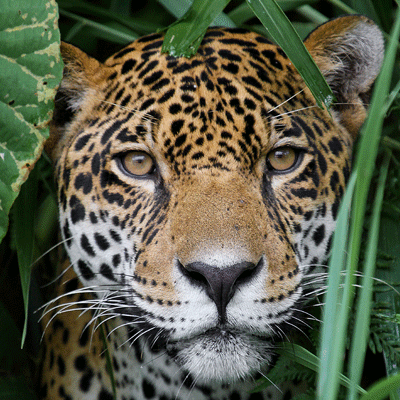 We also use camera traps to record the presence of particularly shy and rare species. I have been nominated deputy to Hutan’s wildlife surveys leader, Eddie Ahmad, which means I am in charge of the expedition logistics (preparing and maintaining the necessary field research equipment, camping gear, boats and petrol, etc). This is a huge responsibility, especially when we were travelling into the remote areas, because we could not go back for supplies if we were missing something. Although I participate in all survey activities, my specialty is small mammal surveys. When we arrive at a new survey site, I choose an area randomly and place a large number of traps along a grid system. These traps are in fact small cages in which we place some bait, and the door automatically shuts down when an animal enters and picks it up. The traps are kept on site for 11 days and 10 nights, and I go to check them every morning. If I find an animal in the cage, I identify the species, take some body measurements and release it immediately. Sometimes it is necessary to sedate a stressed animal with cotton wool soaked in chloroform, but I have noticed that there are certain individuals which are what we call ‘trap-friendly’, which means that they will come back every night to a trap to get the bait, obviously not minding the handling that comes the next morning too much. Over the year of expeditions, I was able to trap four species of treeshrews (Tupaiidae family), three species of squirrels (Sciuridae family) and six species of mice (Muridae family). 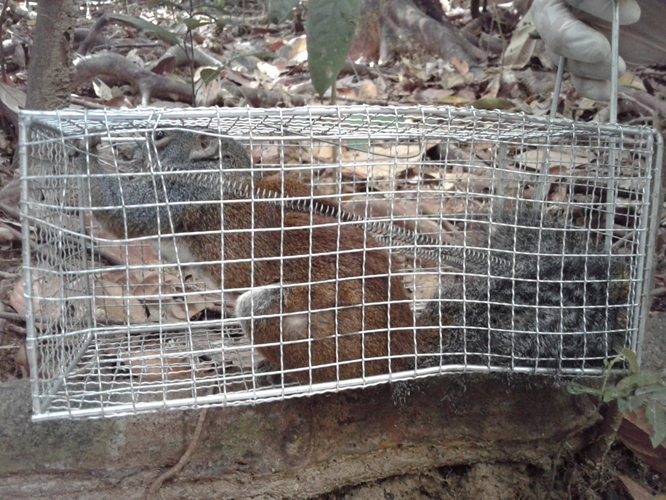 I also trapped a Horse-tailed Squirrel (Sundasciurus hippurus), which was a first. We still have a few expeditions to conduct this year to complete our survey of the Lower Kinabatangan. We will then have compiled a huge number of field datasets for a wide range of wildlife species. The analysis of this data is a very delicate and complicated process, and we are being helped by professional statisticians. However, we hope to package our survey results in a clear and straightforward report, to be presented to major stakeholders in the Lower Kinabatangan region. For people like me and other Hutan staff who spend our life in the forest, we already know that some wildlife populations are becoming harder and harder to find in the Lower Kinabatangan. But if we just go around and share our impressions, most people will not listen to us. 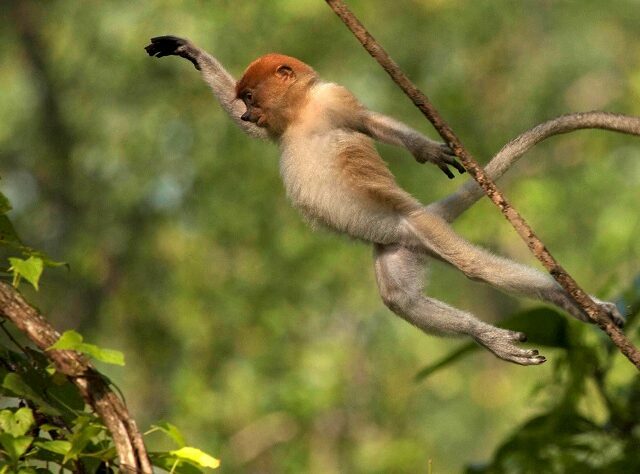 The Kinabatangan region is getting increasingly famous in Malaysia and worldwide for its wildlife diversity. 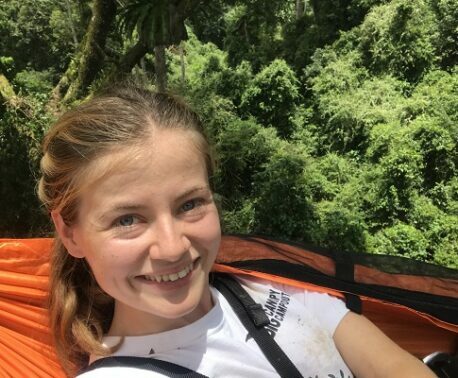 The ecotourism industry has been steadily growing over the past 10 years, and everybody thinks that the natural resources here are boundless. 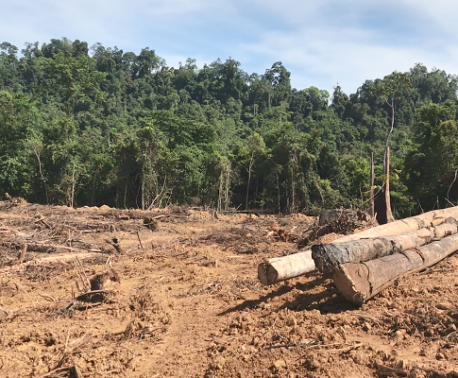 But the truth is very different: I believe that wildlife is having more and more difficulties to cope with the rapidly increasing fragmentation of its habitat, due to conversion of privately-owned forests to agriculture. Our protected area, the Lower Kinabatangan Wildlife Sanctuary, is fragmented in 10 different lots. 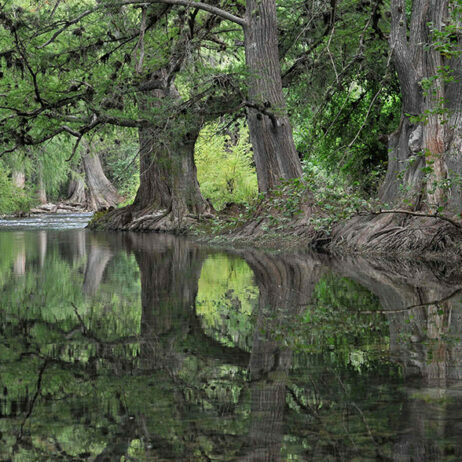 Some of these pieces of habitat are now totally isolated from the others. We have already lost our rhinoceros population, and I believe that many other wildlife species could also become extinct in our region if nothing is done to reconnect the fragments of the Wildlife Sanctuary. This is why we do the wildlife surveys- so we can provide decision makers with solid evidence of the threats faced by our wildlife species, with the hope that we can work together on solutions to save our natural heritage. 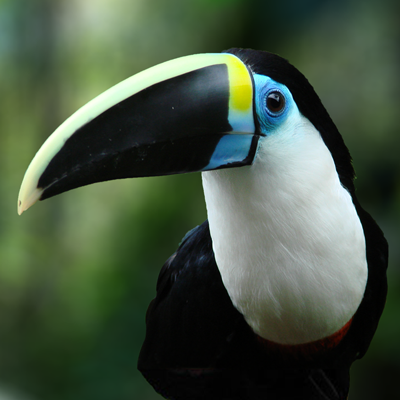 World Land Trust is currently aiming to raise £100,000 to secure pieces of Bornean Rainforest on the banks of the Kinabatangan River to prevent further fragmentation of this habitat and enable the passage of Bornean wildlife between protected reserves. This land would become an extension of the Lower Kinabatangan Wildlife Sanctuary.